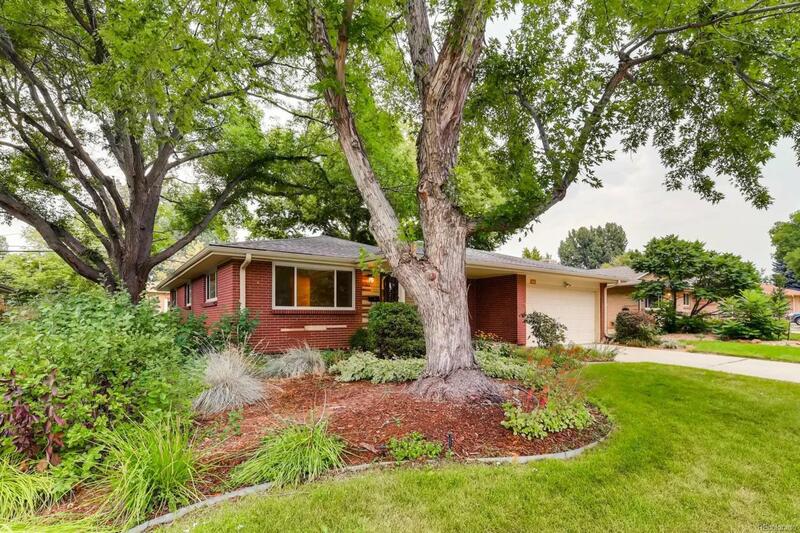 Super-cute brick 4 x 3 on a quiet street close to Old Town Arvada. Everything you need for easy livingmain level master has en suite bath, hardwood floors throughout the main floor, updated kitchen with solid surface counters, family room addition abuts kitchen with lovely built-ins and huge glass sliders, finished basement with bath, 2-car attached garage, even a fenced and landscaped yard with sprinkler system and deck. Just 2 blocks to Ralston-Central Park and the bike path. Lovingly maintained and updated for 57 years by one family. This house is a gem! Offered by Kidder+ Real Estate.